About 30 people move to Charleston every day. When this number bubbles up, it’s usually met with an eye-roll and scoff about soul-crushing traffic and crumbling infrastructure. I get it. Charleston has something special worth protecting; whether it’s the charm, character or culinary excellence – you cannot help but fall in love with this city. As an Executive Producer for Broadway touring shows, I jet-set around the world and can tell you that when it came time for my husband, Alan Shaw, and I to choose a place for our business – all roads led us to Charleston. 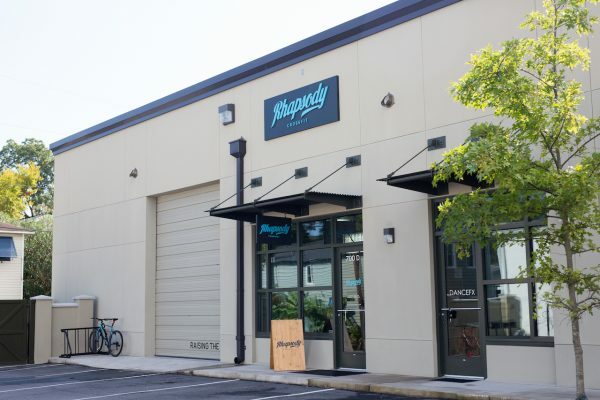 Joining the flock to the Holy City, Rhapsody CrossFit opened on July 14, 2018 in the heart of historic downtown – we came to set a new standard of fitness by developing humble, hungry and happy members through our prime coaching, top-of-the-line facility and prioritized member care. We had the vision. We signed the lease. 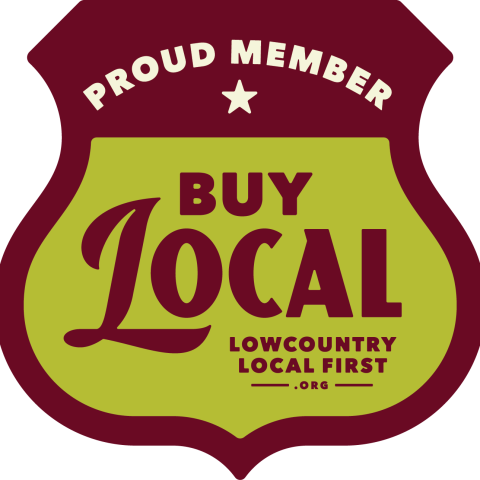 Now we had a choice – work with our existing network of vendors and influencers out of New York or make new friends in Charleston to help us get our business off the ground. With community as the cornerstone of our master plan, we had to create an environment with the potential to be a “third place” for our members – that sanctuary between work and home. 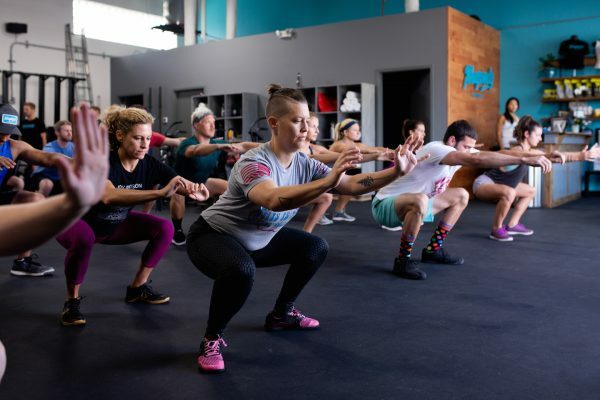 To do this, we needed what no one in our current network could give us – the Charleston secret sauce. Fast friends it is! We started pounding the pavement for local talent and soon learned it was not in short supply around these parts. Our first commission was the Salt Wood Company to dress our space with a distinct front desk and retail area. Soon after, we convinced the incredibly popular Grizzly Wheeler Print Shop, creators of the swankest swag, to outfit us and A+E Digital Printing to arm us with the print arsenal of posters, flyers and business cards. After stalking their incredible work on social media, we talked the lovely Arielle Simmons and Leigh-Ann Beverly with Bona Fide Productions into making us Insta-worthy with warm, welcoming photography and video. To round out our retail, we stocked sweet-smelling “sugah” by The Charleston Soap Chef and opted for clean pre-workout in the form of Springbok Coffee Roasters cold brew on tap. 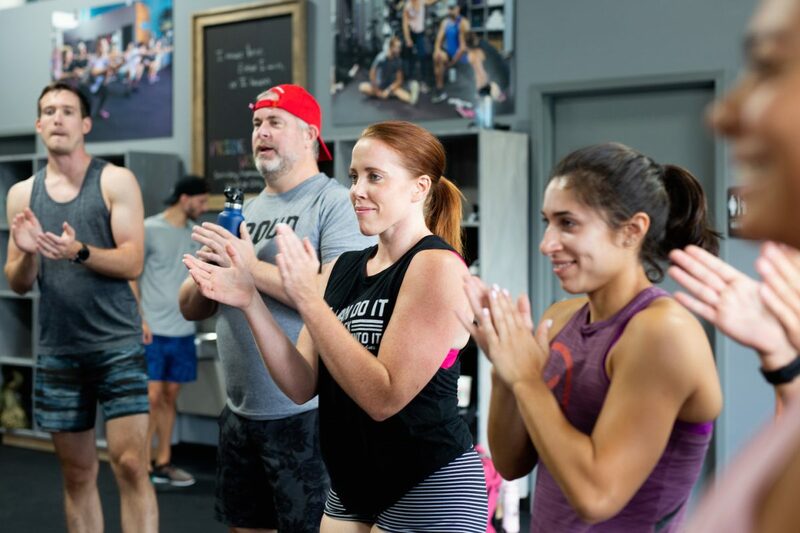 We then met the force of nature that is Mary Beth Henderson with Front & Center who helped us find our voice and become the premier CrossFit gym in Charleston. Icing on the cake came with our bold, beautiful signs from Limelight Custom Sign Co. – these still make me smile when I pull up to the gym. Six months later, our member base has grown well beyond every projection, and I firmly believe that is because we introduced ourselves, got acquainted and built authentic relationships with the resident A-Team instead of barreling into town on New York time and talent. Each and every day affirms our choice in Charleston. To pay it forward, this year we will launch the Rhapsody Business Directory so our entrepreneur members can connect with each other inside and outside the box. 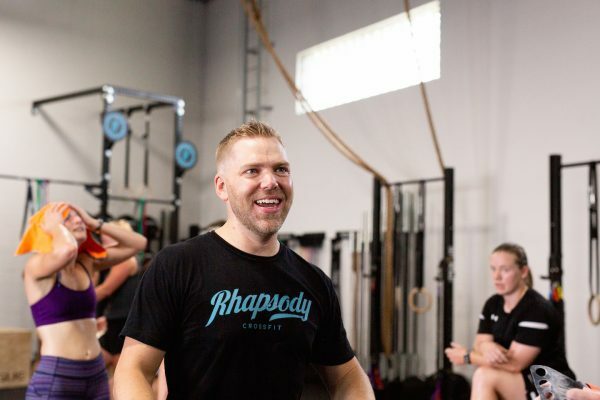 Charleston does, after all, have that special something and Rhapsody CrossFit wants to be part of making it even better – we have come to learn that means turning to your neighbor before looking anywhere else for help. All photos are by Arielle Simmons (@arielle.simmons).